Experienced and aggressive Duvall criminal lawyers to fight for you in court. Being charged with a crime is one of the most stressful and scary experiences a person can have. But if the Washington State or Duvall Police have accused you with a crime, you should know that you have a number of options available to you to fight the charges and return to your normal life. At the Law Offices of Duvall criminal lawyer Jason S. Newcombe, our goal is to serve our clients and provide them the best defense available at an affordable rate. We have the experience, professionalism, and knowledge necessary to have the charged against you reduced or even dropped – and our compassion for our clients and their families is what truly sets us apart. When Should I Hire a Duvall Criminal Lawyer? As an individual accused of having committed a crime, the Washington State and federal government entitle you to a number of rights designed to protect you during your trial and ensure that you are not mistreated by law enforcement. Among these rights are the right to consult with a Duvall criminal attorney before speaking to police and the right to avoid self-incrimination. This means that you do not need to answer any questions asked of you by the police – and that you are protected against making statements that incriminate you in front of law enforcement officials and the prosecution at your trial. If you have been accused of a crime by the police, call our Duvall criminal lawyers before submitting to questioning or agreeing to sign any statements. Many of our clients come to us after they have already spoken to the police, confessed to a crime, or even after they have pleaded guilty. In Washington State, it is quite difficult to reverse a guilty plea – so hiring an attorney as soon as possible prevents potential future problems associated with not knowing your rights. 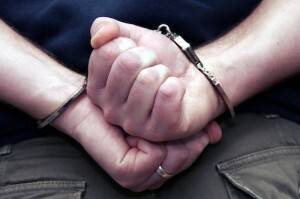 Our Duvall criminal lawyers have experience with almost all misdemeanor crimes and many felonies as well. For more information on how our dedicated legal team can help you, please call us or contact us online.